Well friends, fall is officially upon us, which means that Smoothie Sunday is wrapping up for the season. Since my mission this year was to try to work more veggies into my smoothies it seemed appropriate to begin and end with a vegetable-based smoothie. It’s just coincidence that both of them happened to be orange. This smoothie is perfect for the first week of autumn, and it will have you ready for Thanksgiving even though it’s still a couple of months away. 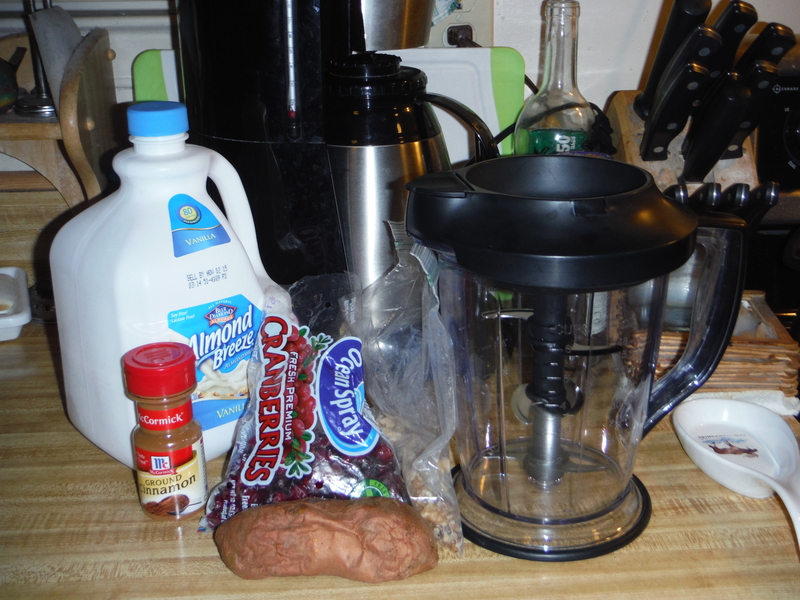 Combine the first 5 ingredients in a blender, and blend until mostly smooth. Add the remaining ingredients, and any extra milk if smoothie is too thick. Pulse until well combined and smoothie has reached desired texture. Pour into a tall glass and enjoy. I hope everyone enjoyed this year’s new Smoothie Sunday posts. We’ll be back next year with even more smoothies for you to enjoy! Feel free to leave suggestions/requests in the comments section! 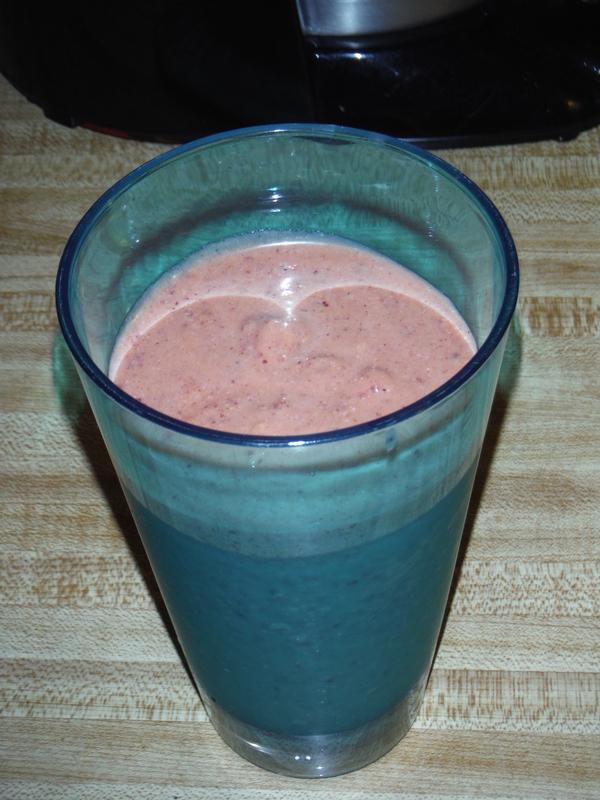 Posted on September 27, 2015, in Etcetera and tagged breakfast, cranberry, Fall, gluten-free, healthy, recipes, smoothie, Smoothie Sunday, sweet potato, vegetarian, yummy. Bookmark the permalink. Leave a comment.